The affiliated auto manufacturers Hyundai Motor Company and Kia Motors are aiming to triple the number of “fuel-efficient cars” that they have on offering by 2020, according to recent reports. The move is intended as a means of improving the manufacturers’ image and standing with regard to competitiveness in fuel economy — partly owing to concerns raised by investors about the fact that Hyundai’s latest Genesis, and Kia’s Soul, have lower fuel mileage than their predecessors. Also, concerns are partly owing to the relatively recent $350 million fine received in the US for the overstatement of vehicle fuel economy. The announcement of the recent aims comes only a week or so after the pair also pledged to increase the fuel economy of their offerings by 25% by 2020 — to meet emissions regulation standards in the US, Europe, and South Korea. The pair also made the announcement recently that it would buy back 670 billion won ($602 million) worth of shares. This move was reportedly made as a means of appeasing investors who were angered at a recent $10 billion bid for a piece of property to be used as a new headquarters. SEOUL: Hyundai Motor and Kia Motors on Monday raised their target for 2014 global sales to at least 8 million vehicles, anticipating record-high China sales to offset slowing growth in the United States and Europe. The South Korean automakers, which together rank fifth in global vehicles sales, said in a statement the new sales target would represent an almost 6 per cent increase from last year. Sales this year will also be boosted by higher numbers from India, Russia and Brazil, the automakers added. New launches and more local manufacturing will help Hyundai and Kia sell more cars in China, the world's biggest auto market, this year, said Suh Sung-moon, an analyst at Korea Investment & Securities. He said Hyundai was likely to miss its US sales target for this year on a weaker-than-expected reception for its new Sonata sedan in its biggest market after China. In Europe, Hyundai expects to see a sales recovery driven by its new i20 model, which will be launched this month. 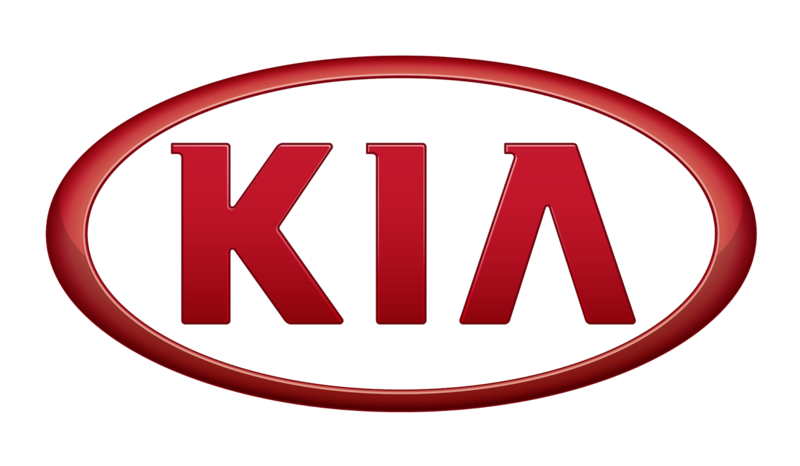 Hyundai and Kia had in January set a global sales target of 7.86 million vehicles for this year. Even though gas prices are falling below $3 a gallon, automakers are pushing ahead with alternative fuels like hydrogen. Several companies have jumped on the fuel cell bandwagon, working hard to change public perception of the fledgling technology and pave the way for future sales. 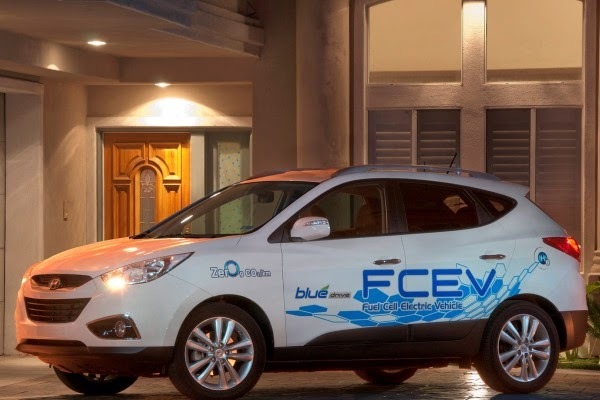 With this purpose in mind, Hyundai recently released a new blog post that preaches the advantages of hydrogen as a fuel source. It was written by Mike O’Brien, who is the Vice President of Corporate and Product Planning. To start off, O’Brien says that recent advancements in fuel cell technology surpasses what anyone ever anticipated. 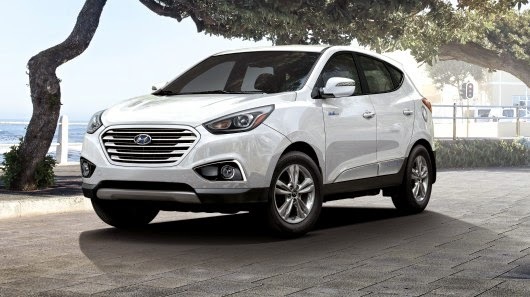 Of course, he cites the Tucson Fuel Cell as one of the important milestones of the advancement of the alternative fuel. After that, things get interesting. Instead of insulting full-electric powertrains and other ways of powering a vehicle, he takes the higher road and says that there can be more than one way of getting people off the fossil fuel addiction. He even states that there is no way one technology can meet all consumers’ needs. One thing that many electric vehicle proponents constantly turn a blind eye to is the fact that people who drive long distances in a single day find waiting thirty minutes, two hours, or even longer for a vehicle to recharge completely unacceptable. Not everyone drives their car from home to the office and back, racking up maybe 40 miles on a daily basis. After that, O’Brien mentions the things that Tesla and others hate to hear about fuel cell vehicles. They have a range that is comparable to gasoline-powered cars. Refueling takes about as long as filling up a tank with gas, and they can easily be made large or small, accommodating a wide variety of vehicles like delivery trucks, all the way to subcompacts. Even more valuable is a 14-page PDF that details out the automaker’s response to 10 questions that were asked by John Voelcker, who is the editor of Green Car Reports. The responses should be interesting to anyone who wishes to know more about fuel cell technology. LOS ANGELES, Nov. 20, 2014 /PRNewswire/ -- Hyundai's all-new Genesis took the top spot in ALG's Residual Value Awards for the Premium Full-Size Car segment. The 2015 Genesis is projected to retain the highest percentage of its original price after the typical ownership period of three years compared to competing models. "Depreciation is oftentimes the greatest expense when it comes to a vehicle purchase and we aimed to deliver the all-new Genesis to our customers with exceptional value," said Mike O'Brien, vice president of corporate and product planning, Hyundai Motor America. "Earning the ALG Residual Value Award is another proof point that Genesis and Hyundai's premium strategy is paying off with customers." ALG Residual Value Awards are based on 2015 model year vehicles. Award winners are determined through careful study of the competition in each segment, historical vehicle performance and industry trends. Vehicle quality, production levels relative to demand, and pricing and marketing strategies represent key factors that impact ALG's residual value forecasts. Hyundai was also honored in the 2013 ALG Residual Value Awards for the Santa Fe Sport and Accent, and in 2012 for the Santa Fe Sport, Azera and Elantra, attesting the continued value of Hyundai models. "Hyundai is becoming a legitimate player in the luxury market with the Genesis," said Larry Dominique, president of ALG. "Not only is it a great value on the showroom floor, but with the model's first Residual Value Award, this new generation should be quite desirable on the used market as well." In addition to earning an ALG Residual Value Award this year, the 2015 Genesis was recently named to the prestigious North American Car of the Year short list, where the winners will be announced at the upcoming North American International Auto Show in Detroit. 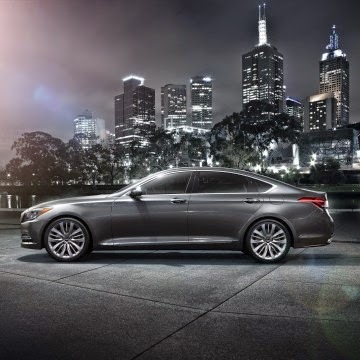 The 2015 Genesis was also recognized as a Top Safety Pick+ from the Insurance Institute for Highway Safety, Editors' Choice from PC Mag.com, the Car of Texas from the Texas Auto Writers Association, and Top Family Choice from the Greater Atlanta Automotive Media Association. Sales of Hyundai vehicles in the country rose by 18 percent to 1,982 units in October this year from the 1,685 units sold a year ago, driven largely by the strong performance of the passenger car segment. This figure brought total sales of Hyundai vehicles to 19,675 units in the first 10 months of the year, from 17,905 units sold in the same period in 2013, said Hyundai Asia Resources Inc. (HARI), the official distributor of Hyundai vehicles in the Philippines. Data from HARI showed that the passenger car segment continued to rally, as it registered a strong 33- percent increase in sales to 1,476 units in October, and a similar double digit growth of 25 percent for the January to October period. This surge was reportedly propelled by Hyundai’s top selling models EON, i10 and Accent, which registered the highest sales in the category with a total of 667 units sold in October alone, HARI explained. The light commercial vehicle segment, however, dampened this robust sales performance as it recorded a 12-percent drop in sales to 506 units for October, and a 15-percent decline in sales in the first 10 months of the year to 5,876 units. HARI, for its part, remained optimistic of its prospects in the last two months of 2014, anchored largely on the country’s strong economic fundamentals and brisk consumer spending. “With the season of giving fast approaching, Hyundai is thrilled to offer our consumers exciting new offerings and value for money deals,” noted HARI president and CEO Ma. Fe Perez-Agudo. LOS ANGELES—I went to the LA Auto Show in search of Android Auto and Apple CarPlay, Google and Apple’s bids to bring your smartphone’s screen to your car. CarPlay’s so far appeared only in a Ferrari and a Pioneer aftermarket line, while Android Auto is still in beta. Still, at a small Hyundai booth in the South Hall, two separate 2015 Hyundai Sonatas demonstrated the technologies. No other automakers were showing them. In the CarPlay-equipped Sonata, the Apple rep plugged in her iPhone 6 Plus and showed me how Hyundai has integrated CarPlay into the automaker’s own BlueLink infotainment system. A small icon for "CarPlay" appears at the bottom of the main screen, which you tap to enter CarPlay. 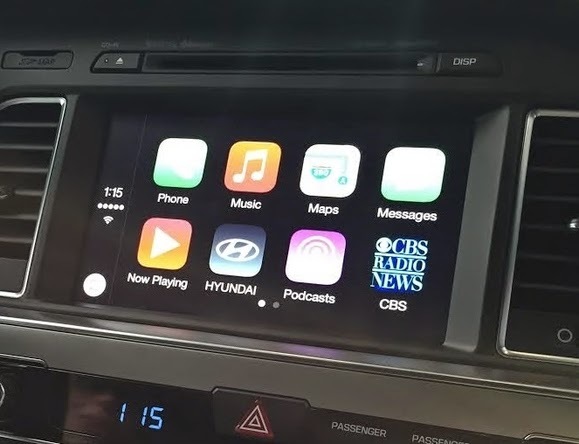 Apple CarPlay's main screen shows buttons for the CarPlay-specific functions, as well as a button to get to Hyundai's own BlueLink infotainment system. CarPlay looks a lot like your iPhone's home screen, minus all the extraneous, not-car-friendly apps, of course. On the left side of the touchscreen there's a small bar that shows the time, your phone's signal strength, and the Home button, which looks like the Home buttons of older iPhones. The rest of the screen is dominated by apps, which appear the same as they do on the iPhone, just larger. Each screen holds eight apps, and you can swipe to the left to see more apps. Apple has optimized iOS 7.1 (and higher) for CarPlay. When your iPhone is plugged into the car, phone-based tasks run a little smoother. For example, when you tap the phone icon, Siri asks you who you want to call right away. "We figured that you wouldn't be tapping the phone icon unless you wanted to use the phone," the rep tells me. "So you don't have to go through a litany of commands every time." To talk to Siri via CarPlay, you can either tap and hold the Home button on the touchscreen (like you'd do on your phone), or you can tap the voice button on the Sonata's steering wheel. It was noticeably easier than other in-car voice systems I’d tried. Apple has also optimized its maps program to scour your emails and texts for important addresses. When you open up the Maps app on CarPlay, you'll see a list of places you might potentially want to go, such as offices, people's homes, and restaurants. According to the rep, Apple makes sure to pick out addresses only from people who are in your contacts list, so you won't end up with addresses to random stores in promotional mailings, for instance. 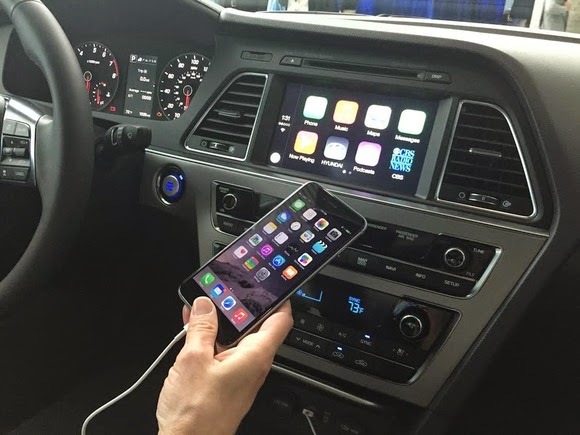 While your iPhone is connected to the car, it won't light up unless you want it to. The default screen is black, but if you tap the phone accidentally, you'll see a mirror of what's showing on the touchscreen. You can also bypass this screen and start using the phone to its full extent, but Apple doesn't recommend that. Still, the rep tells me that ultimately they figured it was safer not to lock people out of their phones, lest they get frustrated and stop using CarPlay altogether. 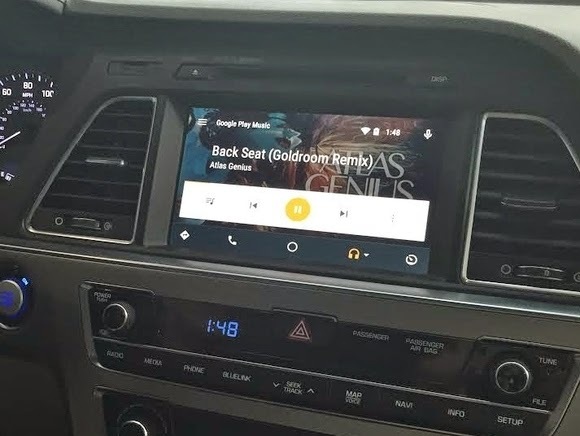 Android Auto’s still in beta, but the Google rep in the second Sonata showed me how all you have to do is plug your phone into the car to launch it. There's no button from the main screen, as with CarPlay. 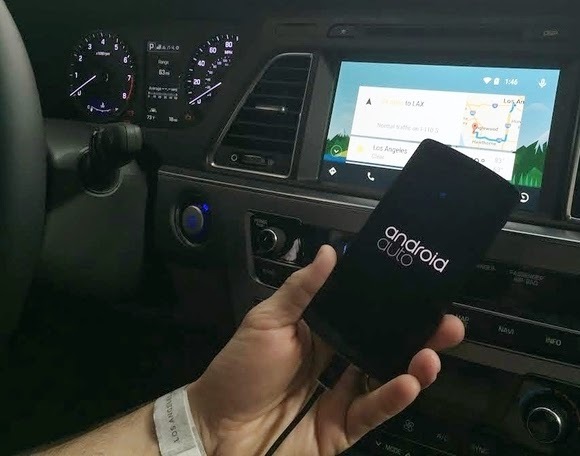 Unlike CarPlay, Android Auto doesn't look at all like what you have on your phone. 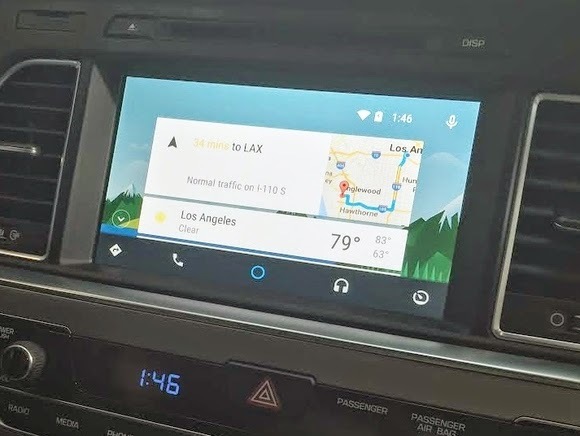 Android Auto hews more closely to Google Now. The main screen has Google Now cards, which pop up with information or features that Google thinks you want at any given moment. For example, when I got into the car there was a Google Now card for a trip to LAX. "I scheduled a flight out of LAX at 3 p.m.," the Google rep tells me. "So Google figures that I probably want driving directions to LAX." To get those directions, all he has to do is tap the card, and Google Maps automatically opens up, full-screen. The rep walks me through a scenario where he asks Google to tell him the weather in San Diego, and then follows up with a question about what time the zoo is open. Although he never says "San Diego Zoo," or "the zoo in San Diego," Google assumes (this time, correctly) that he's talking about the San Diego Zoo, because of his previous question. You can also pick a main function by tapping on one of the five icons at the bottom of the screen for maps, phone, home, and music. Android Auto lets you stream music from various sources, make phone calls, and even text people via voice. The fifth icon onscreen looks like a speedometer. Eventually, and tantalizingly, that icon will take you to the car’s diagnostics systems. With CarPlay, you'd have to exit out of CarPlay to find the internal diagnostics; with Android Auto, you can go straight to the source. Unlike CarPlay, Android Auto does lock you out of your phone. If you want to use your phone for non-approved activities (such as playing games or watching videos), you won't be able to unless you unplug it from the car. Hyundai wouldn't tell me when Apple CarPlay or Android Auto will be available in its cars, but it will debut in the 2015 Sonata model and be pushed out as an update to current owners. It’s not certain whether the 2015 Sonata will be the first car on the road to have both, but it's definitely the first one we've seen. Obviously, Custom Hyundai Veloster-Raptor is Dino-mite! 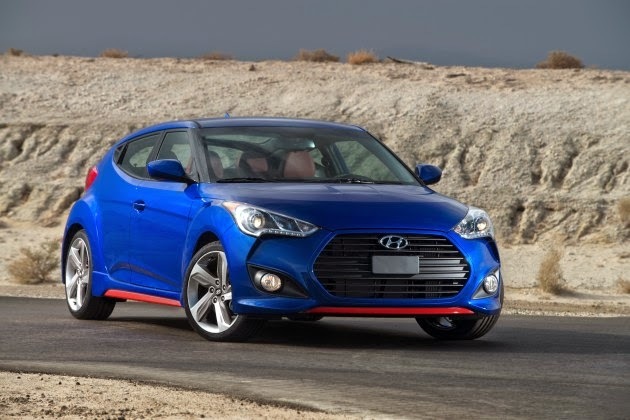 The Veloster has always been an odd bird in Hyundai’s flock. This compact, asymmetrical, 3-door hatchback has some mediocre strength compared to other Hyundai models but sits in an odd semi-power-hungry segment competing with the Scion tC or the Kia Forte. Plus, without the SR Turbo upgrade, it’s pretty underwhelming. 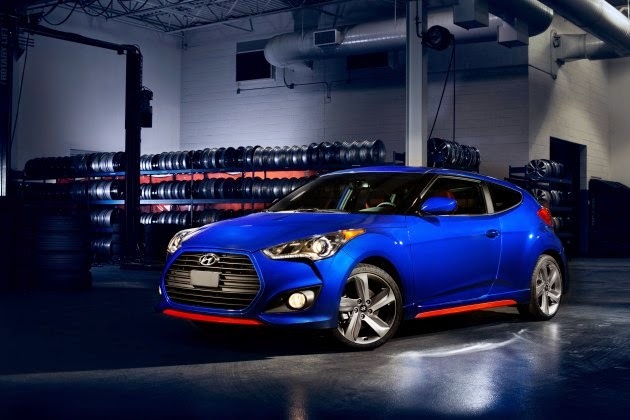 The Veloster still relatively young, having only been around for a couple years, and usually gets overlooked. But it has become a favorite of SEMA participants for one simple reason: it has a wealth of untapped potential. That’s just what Hyundai Australia engineers wanted to prove when they modified a blue Veloster by pumping it up into a ferocious Hyundai Veloster-Raptor. Wait a minute–did that just say “Velociraptor”? Oh my god…. First of all, that name deserves a round of applause. The Hyundai Veloster-Raptor…friggin’ genius. Secondly, no you can’t buy it. Despite accelerating, handling, and stopping better than any available Veloster, it was only a proof-of-concept attempt by the automaker to see what the model can do. “The car is an experiment [put together by Hyundai Australia’s engineering team] and it’s an exploration of how far you can take the Veloster platform,” Hyundai Australia’s public relations manager Bill Thomas was nice enough to tell the world. So how did his team improve the Hyundai Veloster-Raptor? By adding a returned ECU, black Rays wheels, lowered King Springs with revealed dampers, a Quafe limited-slip differential, and cat-back exhaust for a louder roar. That’s still a 1.6-liter engine which now yields 234 lb-ft of torque and 261 horsepower. There are two good pieces of news from this endeavor: Hyundai Australia says it definitely saw potential in the mod, and the mod could feasibly sell at less than $40,000. Actually, there’s a third piece: that absolutely killer name. The car that was named the North American Car of the Year at its introduction in 2009 has been redesigned. The all-new Hyundai Genesis features, for the first time in a Hyundai sedan, a sophisticated AWD system known as HTRAC®. The 2015 Hyundai Genesis receives a redesigned platform to accommodate its new available HTRAC® AWD system. The platform employs even more advanced high-strength steel. As a result, the new Genesis has greater torsional and bending rigidity than the BMW 5-series. Fully leveraging this new, stiffer chassis is an all-new rear multi-link suspension for both dynamic performance and ride comfort. The fully-independent, 5-link front and rear suspension designs have greater wheel articulation and bump absorption over a variety of road surfaces. New 18-inch and 19-inch alloy wheels offer more precise suspension response to changing road surfaces. The heart of the Genesis 5.0 is the award-winning 5.0-liter Tau V8 engine producing 420 horsepower at 6,000 rpm and 383 lb. ft. of torque at 5,000 rpm. Genesis is brought to a halt by large four-wheel anti-lock disc brakes with Brake Assist and Electronic Brake Distribution (EBD). Genesis 3.8 models have large 13.6-inch front rotors, while the 5.0 has even larger 14.2-inch front rotors. Since its 2009 debut on the Sonata sedan, Hyundai’s Fluidic Sculpture design philosophy has been continually enhanced and refined, progressively influencing every model in the Hyundai lineup. The all-new Genesis will be the first Hyundai to embody Fluidic Sculpture 2.0. The cabin layout of all-new Genesis has been designed to benefit all occupants with a spacious, comfortable ambiance. The cabin layout of all-new Genesis has been designed to benefit all occupants with a spacious, comfortable ambiance. The design features the modern Hyundai look, with a striking hexagonal front grille as a key geometric element, a dynamic crease accent running along the flanks of the car, and a dynamic rear design. Design surfaces convey a kinetic elegance, relying more on voluminous body sections than surface details to create dramatic forms. The cabin layout of all-new Genesis has been designed to benefit all occupants with a spacious, comfortable ambiance. The simplification of the switchgear and instrument panel ensures an intuitive layout and open feel. Genesis displays ultra-precise fit and finish, with ergonomic seat design and a generous, natural feel.